Hasanah Brown (Andrew/Ensemble)is a 17 year old homeschooler from Southern Illinois. She has been involved in theatre since she was 6 and did her first Shakespeare play when she was 8. She has been participating in Stone Soup Shakespeare’s workshops and readings since she was 9 years old. Some of her favorite roles include Viola (Twelfth Night), Ursula (Much Ado About Nothing) and Gollum (The Hobbit). She hopes to continue her theatre education as a BFA student in a university or conservatory. She’s so excited and great full for this opportunity and would like to thank Julia Stemper, Sammie Jo, her family and this amazing cast! Angie Fisher (Olivia/Ensemble) is a professional actor and singer/songwriter, born and raised in Southern Illinois. She received her BFA in Musical Theater from Southern Illinois University. She has been able to travel the country the past few years working at regional theaters such as The Barter Theater and The Round Barn Theater and while on tour with The Barter Players and as the Dyanne u/s in the National Tour of Million Dollar Quartet. She’s so happy to be returning to do theater where it all began for her in Southern Illinois and then to get to explore working more in her new found residency of the big ole Windy City. Endless thanks to her big funny ridiculously supportive family. Josh Pennington (Antonio/Primary Feste/Ensemble) is over the moon to be touring with Stone Soup Shakespeare again (last seen in the 2017 tour of Julius Caesar) and also performing in his favorite Shakespeare comedy: Twelfth Night. This is Josh's fourth time journeying to Illyria but first time ever as either Antonio or Feste! Josh is a Chicago based performer and has worked with numerous companies including: (re)discover theatre, Imposter's Theatre, Theatre Evolve, E.D.G.E. Theatre, Shakespeare All Stars, Madkap Productions, Trap Door Theatre, ColorBox Theatre, and the Illinois Shakespeare Festival. Josh is a proud ensemble member of Trap Door Theatre, The Living Canvas and Mercury Hamlet. Outside of theatre he loves cooking, acrobatics, painting, music, dancing, fashion and traveling the world! Julia Stemper (Orsino/Toby/Ensemble) returns for her ninth tour with Stone Soup Shakespeare. Stemper, a Chicago theater artist, was last seen working with the Shakespeare Project of Chicago in their Fall reading of Pericles. Other Chicago credits include Some Like It Red, Ubu II, The Epic of Gilgamesh, and belladonna luna sonata (The Plagiarists), Lydie Breeze (Ka-Tet Theatre), Commedia King John (Chicago dell’Arte), Naked Mole Rat Gets Dressed (Lifeline), Romeo and Juliet (First Folio), and in Spring of 2016 Julia played Prospera at Hope College (Holland, MI) in The Tempest where she was a Visiting Guest Artist. Stemper serves as the Artistic Director of Stone Soup Shakespeare and is a company member with The Plagiarists. Prior to arriving in Chicago she performed extensively in DC. She holds an MFA from the Royal Conservatoire of Scotland. Travis Wiggins (Sebastian/Toby/Ensemble) is coming from a short hiatus from theatre to join this fabulous tour. You may know him from the short film Mother of Calamity as the robot man, Greg. Travis has also played a blurred out baseball player for a New Balance commercial and the British husband of a catering cook in Act Two Theatre's production of Don't Dress For Dinner. Travis is a Libra and a practicing chaos magician. He hopes you have a wonderful day! 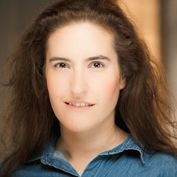 Theo Zucker (Viola/Ensemble) is a Chicago-based actor and writer, and she is thrilled to be touring with Stone Soup for a second time! She was previously a part of their 2017 production of Julius Caesar. Since then, she has concentrated primarily on her playwriting. Her script Alive! was recently a part of the Rockwell Theatre Bandits inaugural reading series. She cannot wait to share Twelfth Night, her favorite of Shakespeare’s plays, with you! The impetus to produce a Bowie inspired Twelfth Night comes from Zed Menard. Menard approached members of Stone Soup Shakespeare following the 2018 Tour of The Taming of the Shrew during their meet and greet. When Menard found that the theme for the 2018 tour had initially come from working with high school students they showed enthusiasm by offering their own vision for a future Shakespeare production: a David Bowie-themed Twelfth Night and we just had to bring their idea to life! Zed Menard is a nonbinary theatre artist who was born and raised in Saint Louis, Missouri and currently lives in Utrecht, The Netherlands. 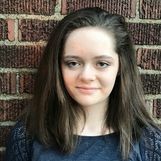 They first became involved in acting after attending a production of Twelfth Night and, shortly after, joining the Shakespeare Festival Saint Louis’s teen acting ensemble: the Shakespeare Squadron. Since then, Zed has been dedicated to finding and exploring LGBTQ+ related themes in the works of William Shakespeare and Christopher Marlowe. They strive to ensure that all gender identities and romantic orientations can be represented onstage, especially in Shakespeare’s works. In 2017, they co-wrote a play titled So Long as Men Can Breathe, a modern re-telling of Romeo and Juliet exploring the untold love story of characters Benvolio and Mercutio. They enjoy many Shakespeare plays and cannot ever decide on a favorite, but they have a special place in their heart for Henry IV, part one and Twelfth Night. In the future, Zed hopes to become both a stage actor, as well as a professor who teaches LGBTQ+ studies in theatre. When they are not partaking in Shakespeare-related activities, Zed enjoys writing stories, playing Dungeons & Dragons, thrift shopping, and getting emotional over the 2008 movie Mamma Mia!